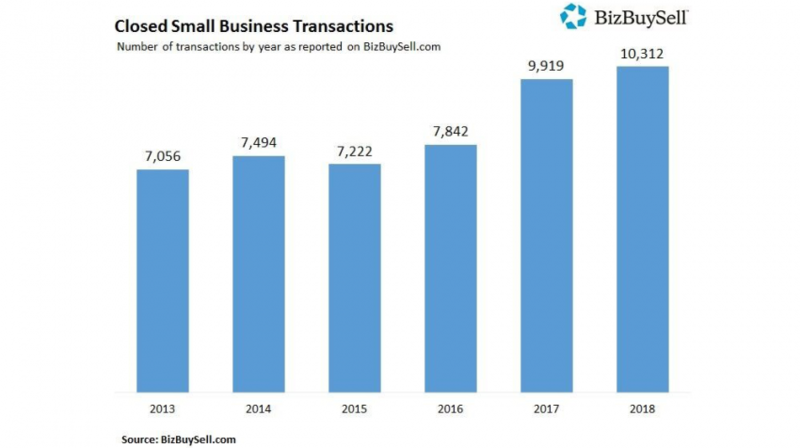 BizBuySell started collecting the data for the number of small businesses bought and sold in a single year in 2007. And according to the company’s Annual 2018 Insight Report, it has been a record year for buying and selling a small business. The numbers for 2018 are the culmination of a three-year record run with a total of 10,312 businesses reported sold for the year. This was a 4% increase from 2017 when there were 9,919 businesses sold and a 31% surge in 2016 was responsible for a high of 7,842 businesses being sold for the year. 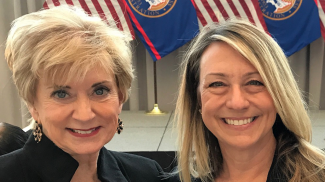 As to what is driving the record numbers, Bob House, President of BizBuySell.com and BizQuest.com, said a strong economy has given individuals the confidence to be their own boss as well as their belief the economy will remain strong. The businesses which changed hands in 2018 were also the most financially healthy. There was a growth of 6.3% in business valuation for this year, which increased the median revenue of sold businesses from $500,000 in 2017 to $531,653 in 2018. The businesses being sold also increased their cash flow by 4.3%, from $115,000 in 2017 to $120,000 in 2018. 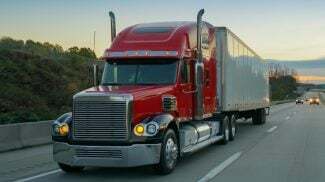 According to BizBuySell, the numbers for both years represent the highest financial performance of sold businesses since the company has been tracking the data. 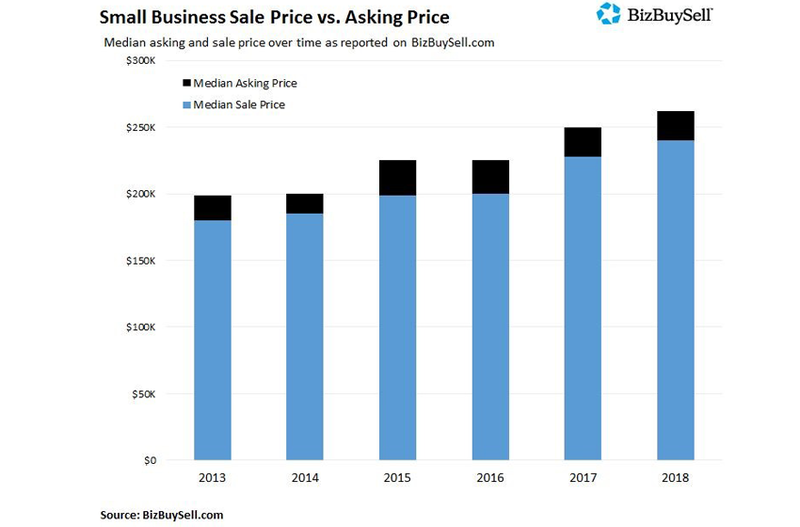 In addition to the data of the businesses that were bought and sold in 2018, BizBuySell also surveyed business owners on a range of topics including performance and outlook. Close to half or 49% indicated their business performed better in 2018, with another 36% stating they had similar outcomes for the year. There was only 11% of respondents who reported they had a worse year in 2018. Owners were also asked why they believe 2018 was such a good year for small businesses. Again, another 49% said it was the economic conditions of the country followed by 22% who noted consumer confidence, and another 7% crediting improved management practices. When it comes to the actual value of small businesses, owners were able to ask and receive higher prices in 2018. The median asking price jumped to $275,000, a 10% increase from 2017. This of course increased the sale price, which was up 9.3% in 2018 to $249,000. Even though new owners were paying higher prices, 41% of the respondents in the BizBuySell survey believed they were accurately priced. Those who believed the business was overpriced (31%) also conceded the purchase was worth it. Another 15% said they got a good deal and the business was actually underpriced. So where were these businesses being bought and sold? 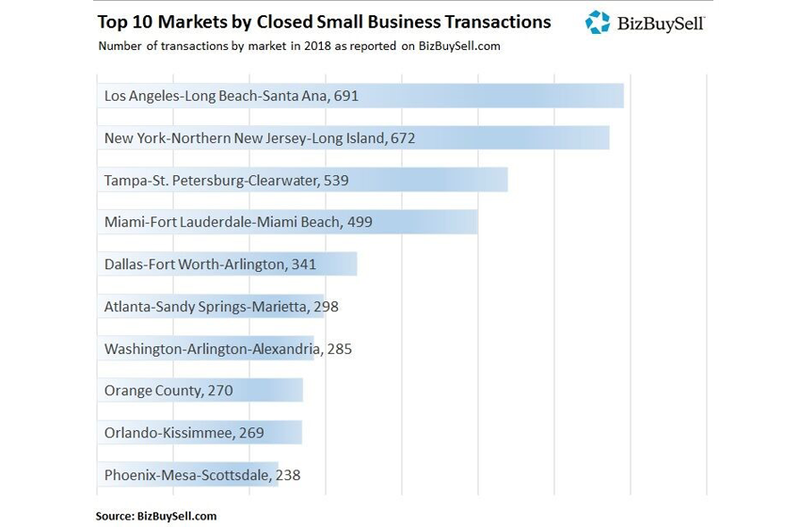 The best-performing cities in 2018 were led by Los Angeles — Long Beach — Santa Ana with 691 transactions, followed by New York-Northern New Jersey-Long Island with 672. Tampa — St. Petersburg — Clearwater rounded out the top three with 539 transactions in 2018. You can look at the full data tables from the 2018 report here, including by Geography or Sector. This means that there is a great purchasing power as well as high hopes for the future of businesses.